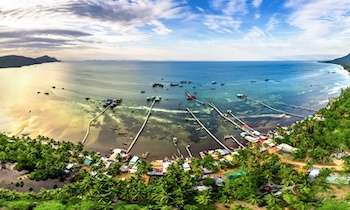 Visiting Phu Quoc, besides admiring the scenery and enjoy seafood, diving is also an indispensable activity. 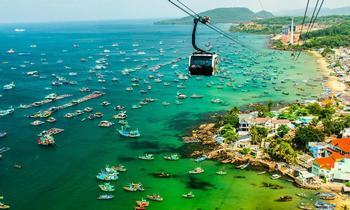 Here are the experiences that will help you get a good trip to Phu Quoc. If you are still worried about the dangerous level of this water sport, you can be completely assured with today's modern techniques of diving in Phu Quoc and the enthusiasm of the instructors. Certainly, you will have a safe and interesting experience here. Diving is a dangerous sport for those who are not confident so when diving, you should always follow the rules of the guide, dive with the group, swim slowly, do not dive too deep, do not drink before diving, do not destroy marine creatures, and after the discovery, you’d better wait at least 24 hours to recover before participating in another sport. At Dinh Cau night market or Duong Dong town center, there are a number of companies organizing diving and fishing tours for visitors. Otherwise, you can also rent a private boat to make the trip. 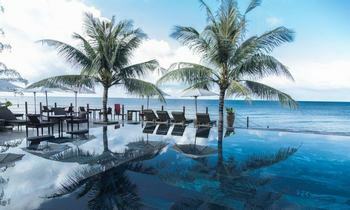 The best time for diving in Phu Quoc is from May to July when the sea is calm and clear with a view of 20-30 meters deep. For an enjoyable experience, tourists can take part in a diving tour organized by the travel company or hotel in Phu Quoc that offers this activity. 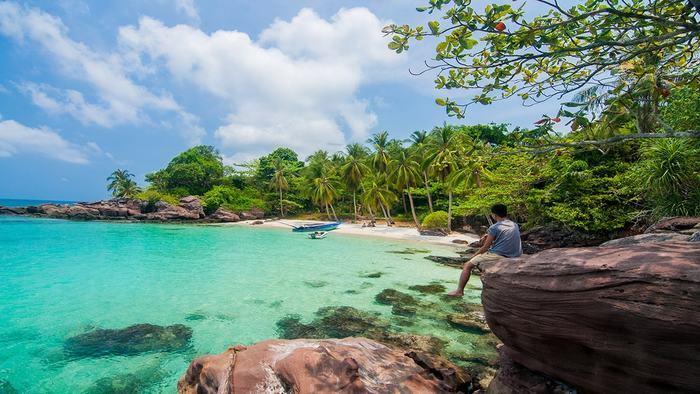 The diverse marine ecosystem of the An Thoi archipelago with 12 beautiful islands in the south, or Mong Tay island, Doi Moi island, and Thay Boi island in the north of Phu Quoc island are the ideal places for visitors to dive in order to view the coral reefs. Especially, the corals here are listed in the top all over the country because of the richness of different scleractinia, alcyonacea coral, and sea anemone species. 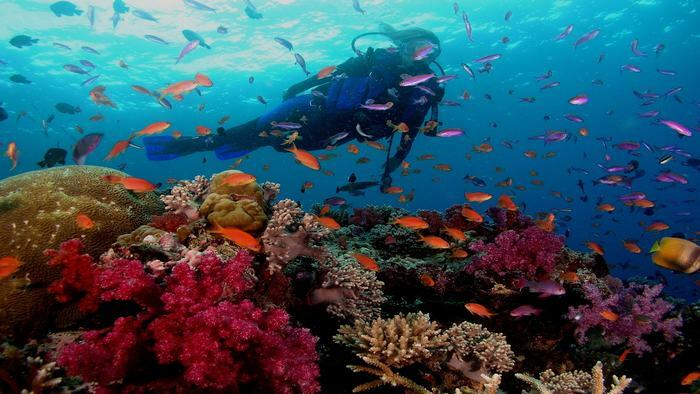 When diving under the sea, travelers will experience to watch the colorful corals. Coral reef ecosystem in the Phu Quoc sea includes 252 species of 49 genera, of which there are 14 families of scleractinia coral and 19 families of alcyonacea coral with an area of 362.2 hectares, accounting for 76% in the total coral species. The highlight of these coral reefs is the appropriate habitat for many species of fish and marine creatures. There are 172 species of fish belonging to 71 genera and 31 families, in which there are many families with the high economic value like 13 species of grouper, 8 species of orange-spotted spinefoot, and 7 species of snapper. Marine algae and mollusk are also the attractive things to see when diving in Phu Quoc. 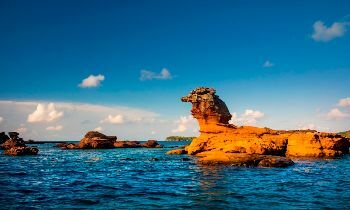 In Phu Quoc, there are many diving spots that contain the outstanding coral reefs, but most of them are in the south and the most famous one is An Thoi archipelago with Hon Thom, Hon Roi, Hon Dam Trong, Hon Dau, Hon Dua, and Hon Gam Ghi island, etc. 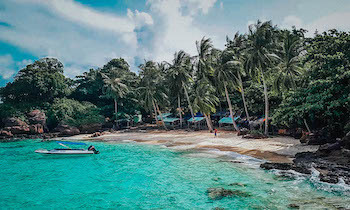 The way to go to these destinations is quite simple that you only need to rent a car to An Thoi port where you will rent a boat to the requested diving site. 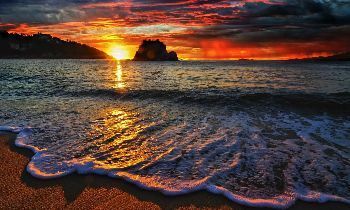 Noteworthy, if your group is small, you should book the tour of the reputable travel companies. In addition, these travel companies also supply the lunch and you can also enjoy the results of the fishing right on the boat. 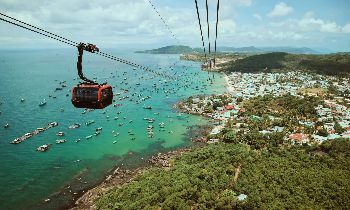 Phu Quoc has more than 150 kilometers of coastline so there are many areas where you can dive in the north of Phu Quoc such as Doi Moi island, Mong Tay island, and Ganh Dau beach. Especially, Mong Tay and Doi Moi islands have a very beautiful coral ecosystem which you can get by boat from Duong Dong port. Travelers can also combine it with the fishing activity. If you want to have a private space for diving, you can go to the beach of Bai Thom commune which is located in the northeast of the island. 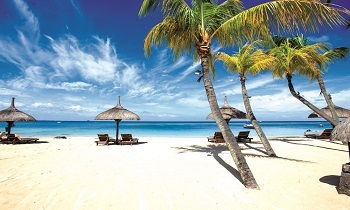 The beach here is quite pristine and it has a very large area of coral reef that is about 30 meters to the shore with an extremely quiet space. Visitors will be equipped with diving gears including diving suits, diving glasses, masks, vent tubes, and swim fins. After wearing all of them, travelers will get to know how to use them and prepare to dive. Phu Quoc diving is one of the exciting activities that tourists coming here always want to experience once in the cool space under the blue sea. 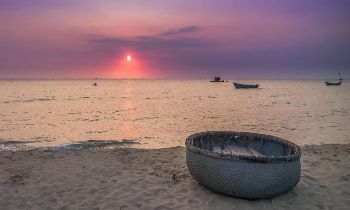 If our guide is useful for your Phu Quoc tour, don’t hesitate to like and share with others. Thank you.